Since the birth of the first in-vitro fertilization (IVF) baby in 1978 , assisted reproductive technologies (ART) have helped thousands of couples to have children through the use of ovarian stimulation . IVF was first performed in a natural cycle without any hormonal stimulation, and the oocyte retrieval was performed laparoscopically. However, natural cycle IVF was soon replaced by ovarian stimulation with clomiphene and gonadotropins to increase the number of oocytes available for retrieval. Although the opportunity to transfer multiple embryos and to select the highest-quality embryo(s) for transfer has improved the pregnancy rates remarkably, hormonal ovarian stimulation presents inherent risks, the most important of which is ovarian hyperstimulation syndrome (OHSS), a potentially life-threatening condition. Women with polycystic ovaries (PCO) and/or polycystic ovary syndrome (PCOS) undergoing ovarian stimulation are at increased risk of OHSS . Severe OHSS affects 1-2% of all women undergoing controlled ovarian stimulation and up to 6-11% of women with PCO or PCOS [4, 5]. Although various strategies have been undertaken to reduce the risk of OHSS, the only way to eliminate it is to avoid ovarian stimulation altogether . Hormonal ovarian stimulation has other disadvantages; it is an expensive treatment, especially due to the high cost of commercial gonadotropins. Patients must also be meticulously monitored by ultrasound examinations and serum estradiol measurements, which also increase the cost of treatment. In addition, it may not be preferred by women because of the inconvenience of daily injections and side effects such as bloating, breast tenderness, mood swings, and nausea. All of these factors can be major deterrents not only to women who are using their own oocytes but also to potential oocyte donors, who may decline undergoing the procedure due to its inherent risks . 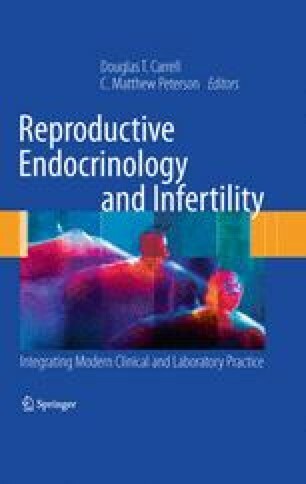 In-vitro maturation (IVM) of immature oocytes obtained in an unstimulated cycle seems to provide a good alternative for these women, as it eliminates the risk of OHSS, simplifies monitoring, reduces the cost of treatment, and results in fair pregnancy outcomes particularly in young age groups.